Lord of the Rings Online, currently experiencing a massive surge of players thanks to its recent transformation into a free-to-play MMO, has a very strange PvP system. 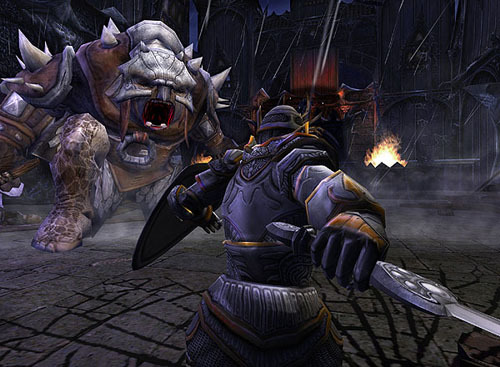 Instead of players squaring off against one another in the traditional manner found in most MMOs, LOTRO PvP involves one group of players appearing as monsters, and the other group working to slay them. It?s odd to say the least, and not without its fair share of issues. LOTRO?s devs are well aware of the problems players currently have with the PvP system, and have come up with an all-new system that allows players to translate their PvMP time directly into PvMP rewards. And the best part? You won?t even have to deal with PvE if you?re hoping to advance. In a recent developer diary, it was confirmed that the original PvMP currency, known as Destiny, became too convoluted for players to make effective use of it. The new system, titled Commendation, will be easier to use and a little more straightforward in terms of how players work for items and other unlocks. There?s no official date on the PvP update, but you can expect it soon.